Hello, I would love some tips about how to shorten the stride of a horse in canter without falling into trot. I don’t have my own horse for now, but I ride two horses very often and have that problem with both of them. My coach tells me that it would be harder due to the fact that lower levels ride them too, and so they’re not always used to what I’m asking them to do. I’ve done lengthening and shortening strides on the long and short side of the arena, which I find difficult because I feel like I end up pulling on the reins rather than using my pelvis and legs. One horse is 17hh and so gets quite strong, the other is 15.3hh but is quite a hot headed horse. Can you please give me a few tips on how to shorten the stride of a horse without losing impulsion? I would greatly appreciate it. Is your horse dull to your leg? 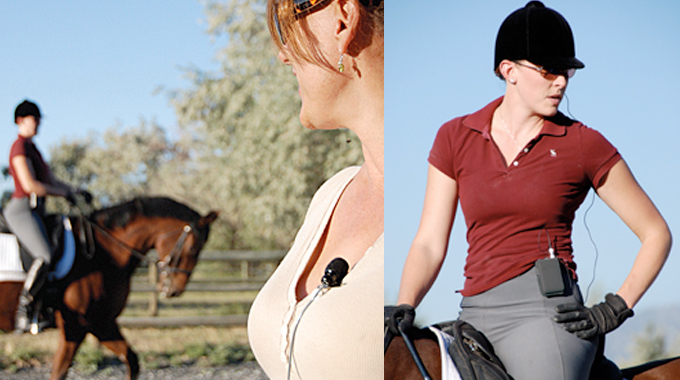 Are you constantly nagging your horse with your spur? 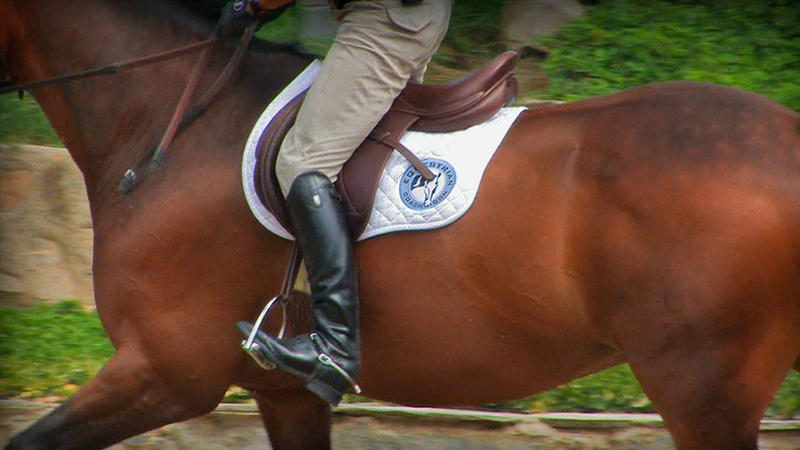 Are there worn patches on your horse’s side from heels that are constantly asking for forward momentum? Bernie has the solution. In this second video from the Equitation Tip Series Bernie looks at a common trait that the top equitation horses in the country share. 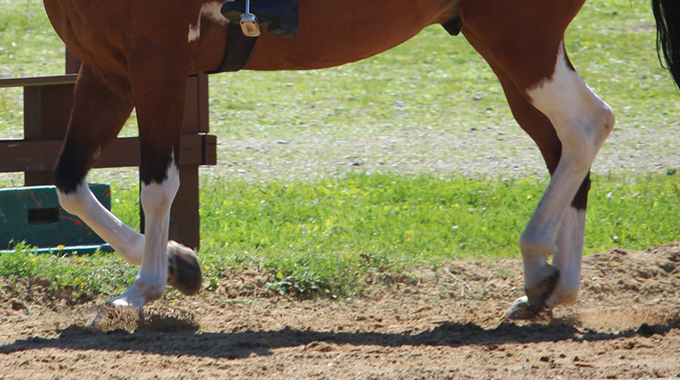 They are all in front of their riders’ legs, allowing for beautiful upward transitions that appear to be invisible. 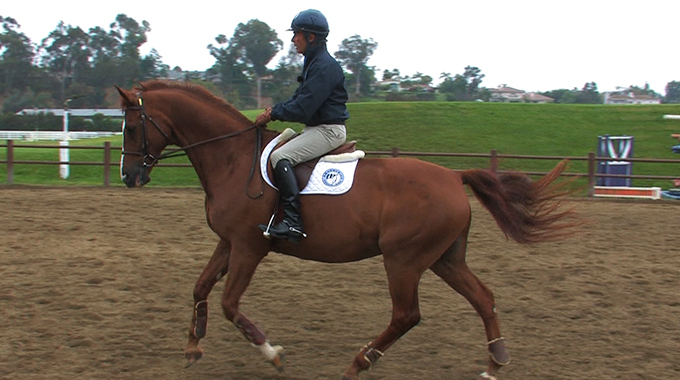 These horses are trained by their riders to be light to the leg and Bernie shows us how to achieve this with your horse. Bernie illustrates, for all the basic jumping disciplines, the significance of the correct position & timing of leg aids as a powerful blend with the rein aids. Teaching independent and prompt responsiveness to leg aids will result in clear, effective communication with your horse when used in conjunction with the rein aids for ultimate control in the ring. Ask The Experts is the ultimate way to get help from the top professionals in the equestrian industry without leaving the comfort of your home. This service is available to Monthly, Annual, and Lifetime Members of EquestrianCoach.com. Judge Rob Gage is a 3-time World Cup Grand Prix rider and won the Rolex Crown of Excellence (won more Grand Prix than any other rider in the US) in successive years, along with being the AGA rider of the year in back to back years. He was the number 1 ranked Grand Prix rider in the US for over 80 consecutive weeks. He is a large “R” rated USEF Judge and course designer. 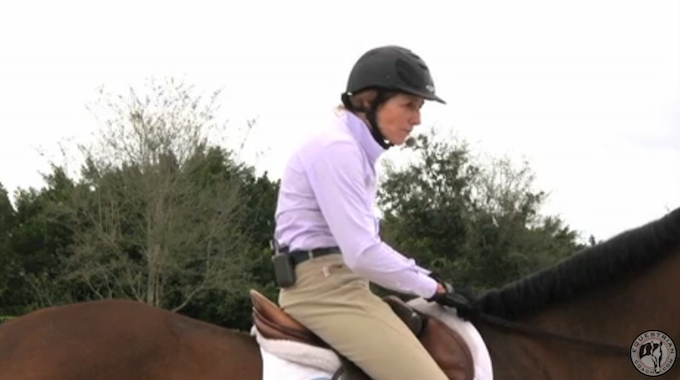 Linda Allen helps out an amateur rider who has picked up some bad habits due to her lack of confidence with distances. 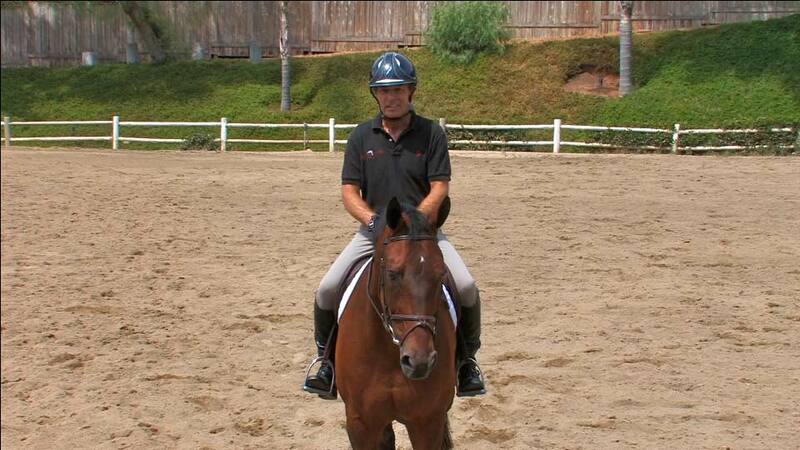 Bernie tells us what system he uses for rider/trainer communication at his clinics. 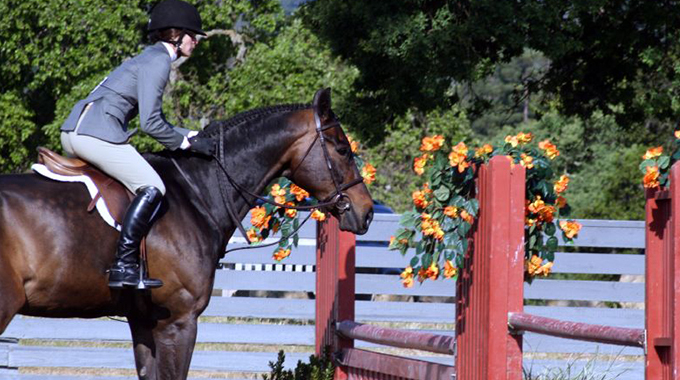 Member Katie asked for advice on how to stop rounding her shoulders when she rides and get a flatter back. Bernie lends his expert advice on this topic.